Botswana, Kenya, Tanzania, and Zimbabwe always top the lists of the best safari destinations. For the variety and the sheer number of animals, as well as the breathtaking landscapes around them, these places are amazing. Of course. But they’re all in Africa. Isn’t it time you give safaris around the rest of the world a chance? This time, your sights are set on Nepal. Most people travel to this landlocked Himalayan country to climb one of the highest mountains in the world, tour sacred historic sites, or study Buddhism. Its animals weren’t even on your radar honestly. 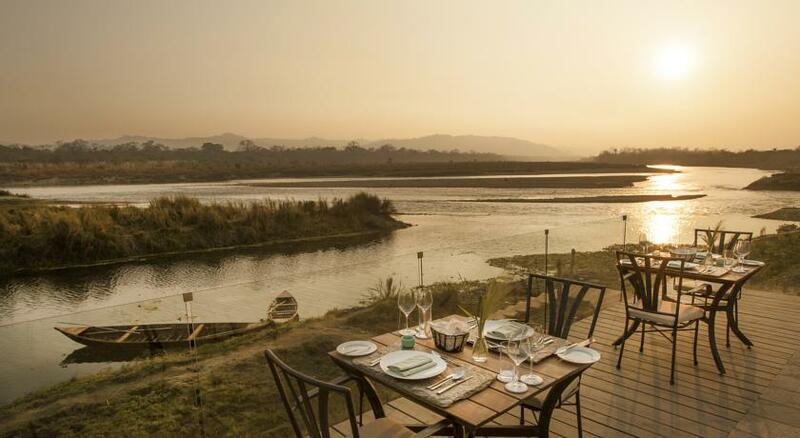 But in Chitwan National Park, the first national park established in the country, you can see elephants, rare greater one-horned rhinos, and Bengal tigers, who are considered the kings of the jungle. It’s one of the best national parks to view wildlife in all of Asia. Chitwan National Park is nicknamed the Heart of the Jungle. The land was originally a hunting ground for the wealthy; they started setting up camps in the 1950s. But as the rhino population drastically decreased, calls to protect them and their habitat began mounting. Chitwan was declared a national park in 1973 and a UNESCO World Heritage Site a decade later. The rhino population has been slowly increasing since then. After a quick flight from Kathmandu, you arrive in Meghauli. The town sits on the western edge of the park in between the Narayani and Rapti Rivers. The Tharu people, who are Buddhist and Hindu farmers, live in traditional settlements. Whether in their village or at the entrance to the park, they welcome visitors with time-honored singing and dancing. You receive the same greeting after a long ride, down a bumpy road, when you reach Meghauli Serai. 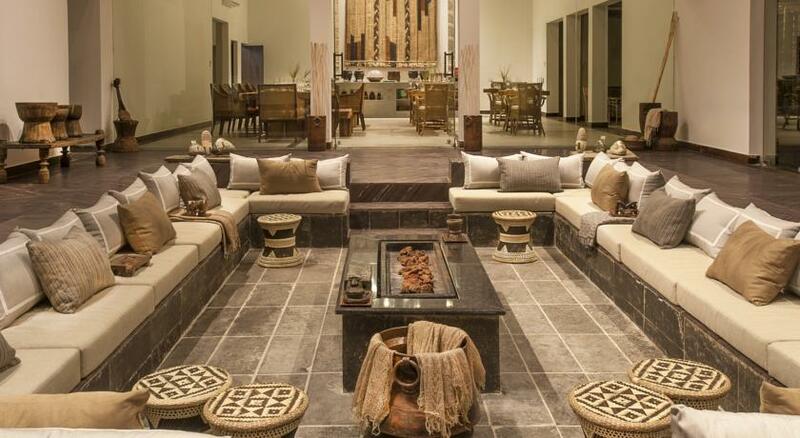 Meghauli Serai is a new resort along the edge of the park. Its low buildings, which look like traditional homes with mud walls and thatched roofs, sit on the bank of the Rapti River. Grasslands, sal forests, and the snow-capped Himalayas are in the distance. The main lodge features a sunken lounge, a well-stocked library, the restaurant, and local crafts. The Jiva Spa offers ancient wellness treatments in either the massage huts or your villa, where your relaxation time easily continues with a clawfoot tub, an outdoor shower, and a plunge pool. The infinity pool, with sun loungers directly in the water, isn’t a bad spot either. But your favorite place will probably be along the river, where you can help bathe and feed Anjali, the resident elephant. Your first big animal sighting is that easy. It will be followed by a sunrise canoe ride to see gharials (crocodiles) and white-throated kingfishers along the river. A naturalist will point out footprints and identify noises during a walking tour through tall elephant grass. A jeep safari will stop in locations where you’re most likely to see an elusive Bengal tiger. An elephant safari—you actually get to ride one of the majestic animals—goes off in search of rhinos. While you might see a sloth bear, barking deer, or rhesus monkeys while sipping sundowners. And it’s all in a country that isn’t known for its safaris.